Faced with limited staff, space limitations and multiple processes. From multiple product assembly, to collation picking and packing. Common problem, Spaceguard resolve for a wide variety of businesses. 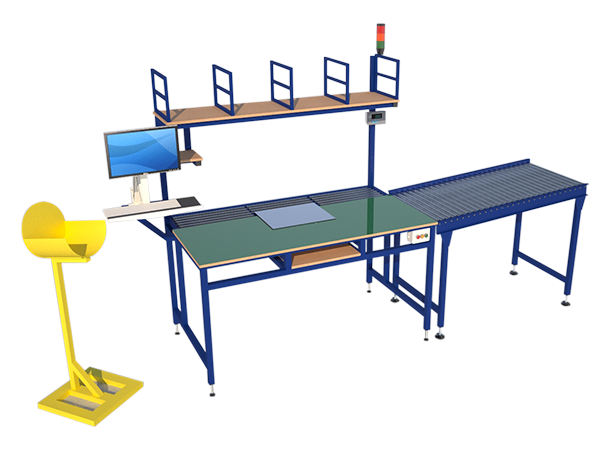 The implementation of bespoke multi use workstations show large ongoing savings. Allowing flexibility through the yearly peaks and troughs. Whilst allowing for future expansion. 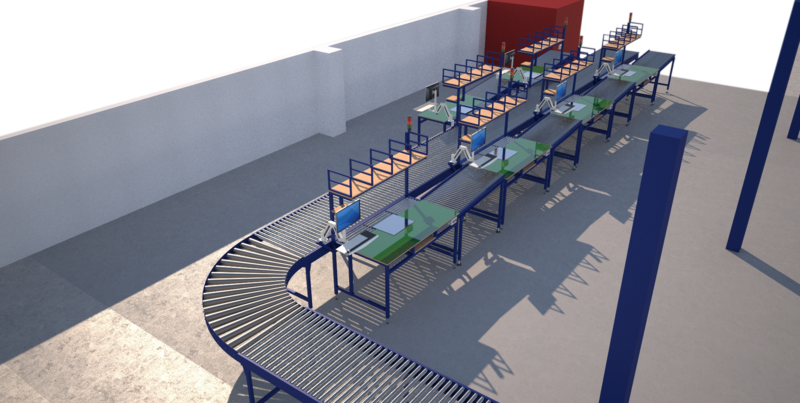 Configure to multi process production line cell. Configure to Lean packing workstation, with product take away. Lean process tools & layout. Wipe clean, anti static & product kind work surface. Weigh scale integration. To log weights on warehouse system. Integration of IT equipment . Mains and data cable management solution. Spaceguard is an ideal partner. Working with you to design and manufacture industrial workplaces. Which bring real savings. In time, improved ergonomics, reduced manual handling & improved working environments. Even in the tightest of work spaces on small budgets.